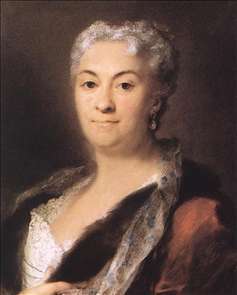 Rosalba Carriera was a Venetian woman pastellist who had a great vogue in Venice, chiefly among British tourists, in Paris (1720-21), and Vienna (1730). She painted snuff boxes for the tourist trade with miniatures on ivory, a technique she seems to have pioneered as against the earlier use of card as a ground. 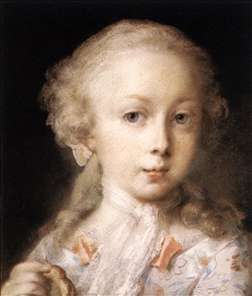 She was painting miniatures by 1700, and her earliest pastels are of c. 1703. In 1705 she was made an accademico di merito by the Accademia di San Luca in Rome, a title reserved for non-Roman artists. 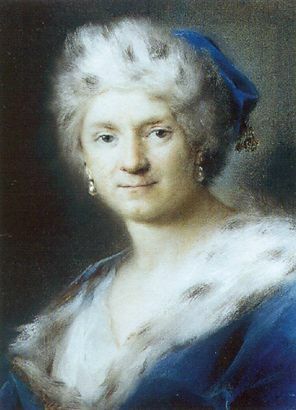 She achieved immense popularity, and made pastel portraits of notabilities from all over Europe, She also had great success with her near-pornographic demi-vierges, much earlier examples of the genre than those by Greuze. She went blind at the end of her life, which provoked a mental collapse. 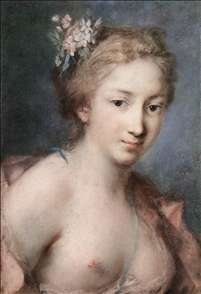 There are 157 of her pastels in Dresden, and others in the Royal Collection, London (Victoria and Albert Museum) and elsewhere. 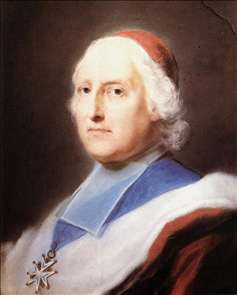 See more details about "Young Cavalier"
See more details about "Cardinal Melchior de Polignac"
See more details about "Elderly Lady"
See more details about "Young Lady of the Leblond Family." 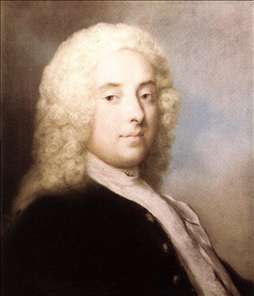 See more details about "Self-Portrait as Winter"